While great strides have been made in 3D bioprinting, including the production of living tissue for drug testing and disease research, the ultimate goal is still elusive: to 3D print entire, working organs for transplant into humans in need. There’s a global shortage of organs for transplant; demand highly exceeds supply. Currently, only about one in five people on the waiting list for a kidney transplant will actually receive one. The hope is that bioprinted organs will solve the crisis, but that day is still a while off, and in the meantime, many people’s lives depend on a very limited supply of transplantable organs. 3D printing can help ease the shortage in other ways besides actually printing entire new organs, however. Researchers from Virginia Tech have developed a new technology they refer to as “microfluidic biopsy,” which involves interfacing 3D printed microfluidic devices with whole organs. The devices conform to the organs and profile their molecular health signatures, or biomarkers. In other words, the devices help to determine how healthy and functional donor organs are. One of the reasons for the organ shortage is that many donor organs aren’t ever used, because it can be difficult to determine if they’re functioning well enough to be transplanted into a new host. Rather than risk implanting an organ with possibly imperfect function, those organs are discarded. It makes sense, but the problem is that determining how well those organs can function is a largely subjective practice, so many perfectly good organs may be discarded due to the perception of inferior function. In addition, organ deterioration can happen quickly, due to limited understanding of how best to preserve them. “Initially and currently our insight is that the surfaces of organs may contain diagnostically relevant soluble molecular information that could potentially be assessed via organ-conforming biomedical devices,” Dr. Blake Johnson, assistant engineering professor and lead author of the study, told 3DPrint.com. “Throughout the process our research team developed new approaches for bonding microfluidic devices to living tissues and achieving conformal matching between biomedical devices and organs. The kidneys were 3D scanned with an HP 3D Structured Light Scanner Pro S2, and the scans were used to make 3D models of the organs. Those models were then 3D printed using a Printrbot Simple Metal 3D printer to create substrates for the microfluidic devices to be printed on. A custom microextrusion-based printing process, involving a three-axis industrial dispensing robot, a digital pressure regulator, and a custom imaging system, was then used to 3D print the microfluidic devices in silicone onto the organ models. After the conformal microfluidic devices were 3D printed and cured, they were removed from the plastic organ substrates, sterilized and bonded to the original organs using a thin hydrogel, leaving an open microchannel for procurement of microfluidic samples. They were then 3D scanned again to compare the surface topography of the organs to that of the microfluidic devices. Once it was established that the microfluidic devices conformed to the surfaces of the organs, multiple techniques were used to take and analyze microfluidic biopsy samples. “…3D printed conformal microfluidic devices form coherent interfaces with whole organs and can establish controlled fluid flow across the organ cortex, thus serving as a potential sink for continuously isolating molecular species,” the researchers explain. In other words, the microfluidic samples that the 3D printed devices enabled the researchers to gather provided diagnostic information about the state of the organs that other techniques have not been able to procure. The work established an objective, rather than a subjective, method for assessing the health and quality of potential organs for transplant, and gives medical professionals better knowledge of and control over the state of those organs. “Ultimately, we are excited by the potential to non-invasively profile health indicators from whole organs using 3-D printed technology as it could provide a paradigm shifting approach for various whole organ science and healthcare applications, such as organ transplantation,” Johnson told us. Authors of the paper include Manjot Singh, Yuxin Tong, Kelly Webster, Ellen Cesewski, Alexander P. Haring, Sahil Laheri, Bill Carswell, Timothy J. O’Brien, Charles H. Aardema, Jr., Ryan S. Senger, John L. Robertson and Blake N. Johnson. 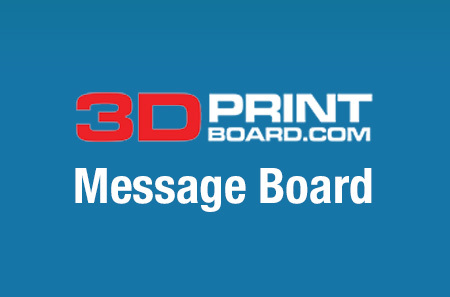 Discuss in the 3D Printed Microfluidic Devices forum at 3DPB.com.